Diner-style breakfasts can include 1,000 calories or more with astronomical amounts of carbohydrates and fat. A "healthy" whole-wheat bagel with light cream cheese from a bagel shop may contain up to 67 grams of carbs, 450 calories and nine grams of fat. Breakfast at home could consist of 125 grams (half a cup) of oatmeal with raisins and 250 millilitres (one cup) of skim milk, which contains a mere 12 grams of carbs, 195 calories and three grams of fat. What's more, breakfast foods are (for the price) relatively expensive when you eat out often. Doing the math, a two-dollar bagel each weekday morning adds up to over five hundred dollars at the end of the year. No doubt you can think of some other way you'd rather spend the money. Start out with a cereal that contains at least five grams of fibre per serving. Why? Recent studies have found that people who regularly eat whole-grain cereal gain less weight than people who don't. To make your cereal even more diabetes-friendly – if you need to watch your blood sugar levels – add 125 grams (half a cup) of fresh fruit, such as strawberries or blueberries. Rich in protein and fibre, ground flaxseed is a godsend to your blood sugar as well as your heart. What's more, flaxseed is perfect on cereals and yogurt. What makes flaxseed such a benefit in your diet? Flaxseeds contain fatty acids that the body uses to make omega-3 fatty acids, such as those found in fish. In turn, this can help to potentially lower your cholesterol and may actually guard against inflammation. Even if you have to monitor your blood sugar levels using a glucose meter and you discover your blood sugar is high in the morning, don't skip breakfast. Research shows that forgoing a morning meal increases the risk for obesity and insulin resistance. Aim to eat your breakfast at the same time every day, since keeping your blood sugar levels steady throughout the day means eating consistently from day to day. Oatmeal is one of the best breakfasts you can eat if you have diabetes or have to monitor your blood sugar levels. 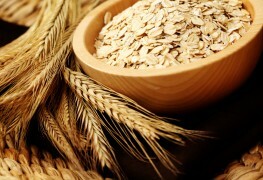 The whole grains in oatmeal are high in fibre, which help keep blood sugar levels steady. 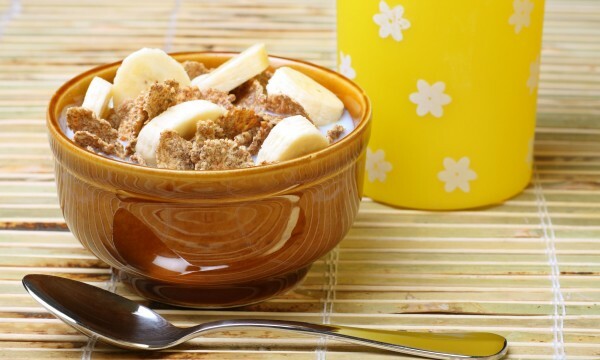 Oatmeal may also help you eat less later in the day. 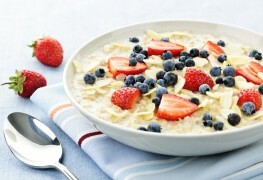 Moreover, people who eat oatmeal are at lower risk of developing heart disease. When you cook steel-cut oatmeal, make a large batch. Enjoy one serving, and then refrigerate the rest. On weekday mornings, simply reheat in the microwave. Preparing a large amount will save loads of time because steel-cut oatmeal takes as long as 50 minutes to cook. Instead of buying packets of flavoured oatmeal – which usually contain tons of added sugar, salt and uses more highly processed oats – you should make your own with a few flavour boosters thrown in for good measure. 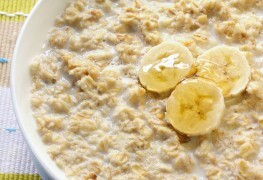 Start with old-fashioned or steel-cut oats, prepared as per the package directions. Next, add chopped apples or peaches for sweetness and fibre. Last, before serving, include a generous sprinkling of cinnamon powder. Cinnamon is known to help lower blood sugar levels. You can save 33 grams of carbohydrates by choosing plain, non-fat yogurt over its fruity or flavoured cousins. Don't be fooled into thinking that the vanilla yogurt you see has the same calories as plain. 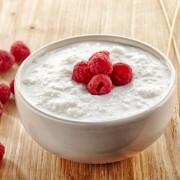 One cup (250 grams) of low-fat plain yogurt contains about 50 calories less than the same amount of low-fat vanilla. Orange juice is a source of naturally-occurring sugars and lacks the fibre of the whole fruit. If controlling your blood sugar is important, you'll want to avoid gulping large quantities of juice. 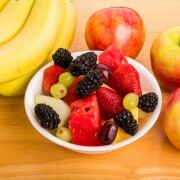 Munch on the the actual fruit itself. It will make you feel more satisfied and full. One way to get more blood-sugar-lowering cinnamon is to add a cinnamon stick to your tea. You could also make cinnamon tea by stirring a cinnamon stick in a cup of hot water. For a delicious coffee with a twist, you can add two grams (1/2 tsp.) of powdered cinnamon to the ground coffee before starting the pot. Breakfast is your first chance of the day to eat well. 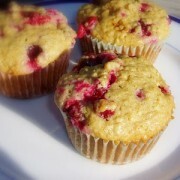 It's also a great way to sneak some extra fibre into your diet and kick-start your metabolism after a night of fasting. With a few simple tweaks to your morning routine, it's simple to make your morning breakfast really count.